The Oscars (or by their official name, the 85th Academy Awards), has the history and star-studdedness to have been earmarked as this weekend’s main event in showbusiness since it was confirmed, though host broadcasters ABC are thought to be lacking in their foresight for an event of this magnitude, as they are offering no live streaming options for the annual movie awards. The event, which this year will be hosted by Seth MacFarlane (Ted) at its regular home of the Dolby Theatre in Los Angeles (USA), will see the best films of the year and their stars appear to see which titles have been declared the best in their department by the Academy of Motion Picture Arts and Sciences (AMPAS). 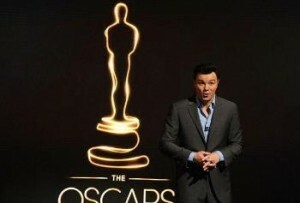 As producers and stars rehearse their roles for tonight’s glitzy extravaganza, it appears as though the action will have its own broadcasting arrangements in other global markets tuning into the movie celebration, its home nation of the USA will not have such variety, only being available live on ABC’s main broadcast network. While some statistics would suggest that not having an official online outlet would not be too effective to the overall ratings, it could be considered an oversight for a fast-developing and respect viewing platform, so will the 86th version of the show next year see ABC amend a huge Oscars omission?